AnaCipher provides impurity profiling service, which is a group of activities, carried out with the detection, identification, and quantitation of the impurities in the Pharmaceuticals. It also involves establishing of the biological safety of an individual impurity through various toxicity prediction softwares. 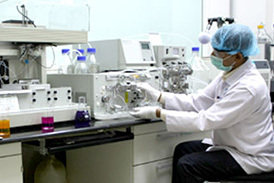 The Laboratory is equipped with flash and preparative chromatography for the isolation of impurities. Isolated impurities are well characterised and qualified and their standards are made available. 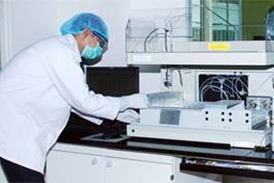 AnaCipher has highly sophisticated instruments such as Gas and Liquid Chromatograph, coupled with mass spectrometer detector (LCMS/GCMS) for the traces level analysis of impurities. AnaCipher also provides development and validation of analytical method for the impurity profiling. More than 100 in-house impurity standards. © 2012 - 13 Indoco Remedies Ltd.